Offering you a complete choice of products which include storage shelves, adjustable shelves, stacking shelves, shelving systems, boltless shelving and commercial storage racks. 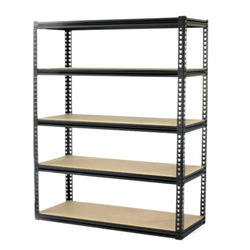 We at spanco manufacturers and supplies storage shelves which are also called as storage shelving systems.These are made under the proper guidance and supervision of experts by maintaining the over all quality. We have backed by the profound experience of offering steel Adjustable shelves which are highly demanded by the clients.Being an ISO certified company we maintain proper quality by using the high grade raw materials. 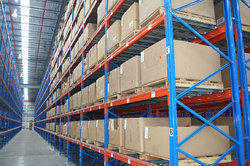 We produce high quality Stacking Shelves which performs many shelving functions depend on our Clients. 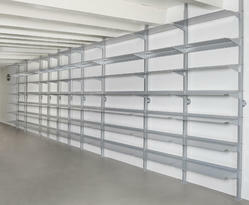 With a rich industry experience of this domain, we are able to offer superior quality Shelving Systems. 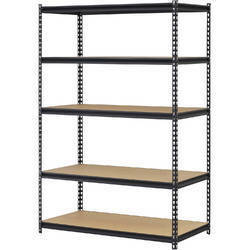 We at spanco an ISO certified company offers Boltless shelving .The concept of this Boltless Heavy Duty Racks is to offer you a most convenient bolting-free rack system which is flexible, rugged, reliable and yet economical. 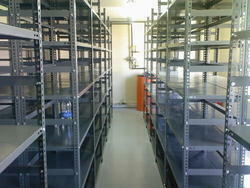 We are offering Commercial Storage Racks to our clients. We obligated to meet the quality standards as per the customer demand. 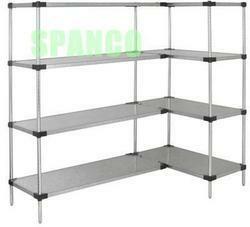 We produces high quality Stainless Steel Shelves.